Our most popular dual-cure emulsion rates high across the board on quality vs. price and is intended for multipurpose use. It resists aggressive solvents and is still easy to reclaim. 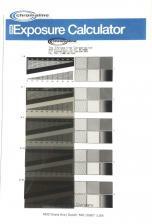 This "workhorse" product comes in both a "clear"(tan) and "dyed"(violet) version that offer a more versatile choice. Prop.65 warning: This product can expose you to chemicals including 1,4-dioxane which is known in the State of California to cause cancer. For more information, go to www.P65Warnings.ca.gov. 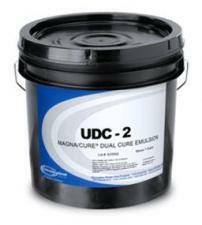 CL UDC-2 Dual-cure Emulsion 5.0 Dual-Cure Emulsion 11/03/2017 By Nicholas Borja I've been using UDC-2 for over a decade. 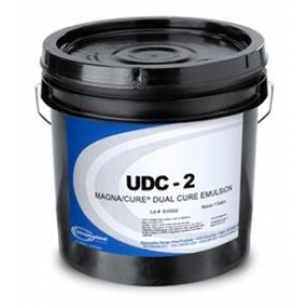 It's not the most economical emulsion out there, but for consistency and overall quality in all types of screen meshes, UDC-2 is second to none. I guess at the end of the day, you get what you pay for.